These days, even some of the cheapest digital cameras can create photos that outdo the best to be found 20 years ago. However, the art of taking pictures is still an art and a particularly high quality camera can really be a helpful tool. However, despite all its capabilities, even the best camera isn’t very useful unless the person using it learns to have an eye for good shots and framing. Because of this, you don’t actually need the most expensive toy on the market in your hands if you want to take some truly high quality photos. 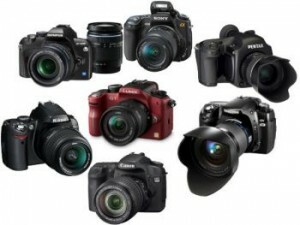 With that, we present to you 5 of the best digital SLR cameras that you can use to learn or improve your photo capture skills without breaking your wallet if you happen to be enjoying your hobby on a budget. All of these cost well under a thousand bucks. 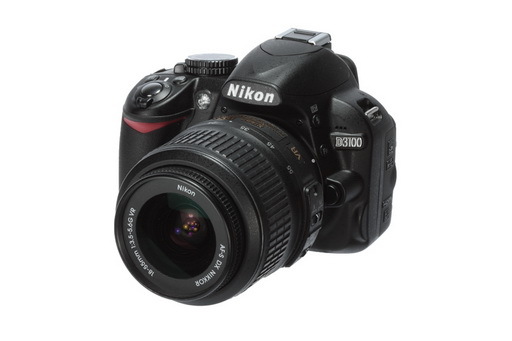 For a budget camera that’s packed with professional quality abilities, it’s hard to find a better deal than the Nikon D3100. This light-weight easy to use device can help you create high quality photo or video shoots that truly reflect its quality. The D3100 contains a 14 megapixel DX sensor and allows for photo or video capture even under conditions of darkness thanks to its 100 – 3200 ISO range. The D3100 also has Full HD 1080 p video capacity and can be set to a special guide mode that lets you slowly learn to use it more proficiently as your skills grow. Fast start-up time, split second shutter release and the ability to snap shots at three frames per second also let you grab photos that you might miss with other brands. Other specs include a USB port, long lasting lithium-ion battery and a high quality built-in microphone. Another major leader in the camera market is the professional camera manufacturer Canon -this means that you can’t go wrong with even their budget cameras. 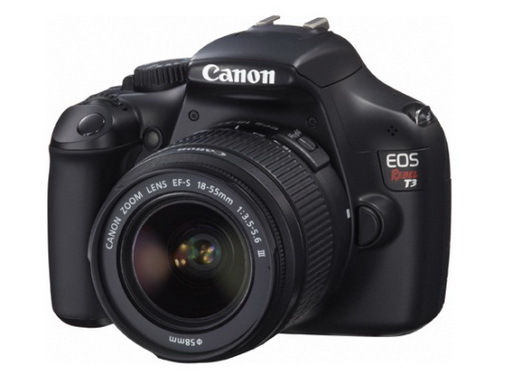 The Digital Rebel is very reasonably priced for a beginner’s cost range but packs some truly excellent features like 720 p HD movie capacity, a 12 megapixel resolution and a 9 point Autofocus system. All of these are loaded into a small, lightweight body that is designed for easy handling and access to controls. The Digital Rebel T3 isn’t quite as usability packed as the Nikon D3100, but it makes an excellent budget camera that’s great for the beginner or intermediate photographer. 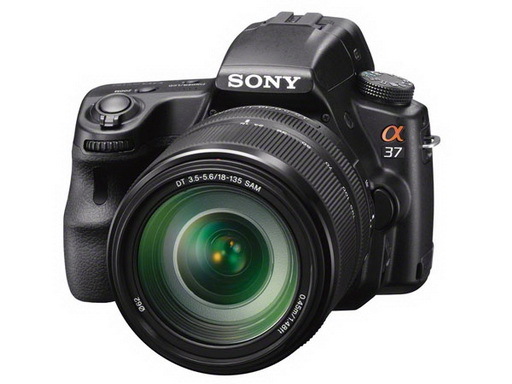 The Sony Alpha SLT-A37 offers a very respectable and even class leading photography performance that leads to some very high quality photography with a little practice. While having been designed with the beginners market in mind, the Sony Alpha DSLR has plenty of features: electronic viewfinder, 5.5 frames per second capacity, ISO rating between 100 and 3200 with ability to expand, fast shooting for great action shots and the ability to power on, focus and take a shot in less than 0.3 seconds under even imperfect lighting. This is an excellent camera in every respect; some of it’s only few cons are a somewhat dim EVF and a smallish video/photo screen. The Pentax K-r is an excellent mid-range camera that comes with a compact; easy to handle body that won’t give you trouble. Features of the K-r include 12.4 megapixel resolution, an 11 point autofocus system and a truly fast shooting rate of 6 fps that will be very useful for capturing some excellent action shots. 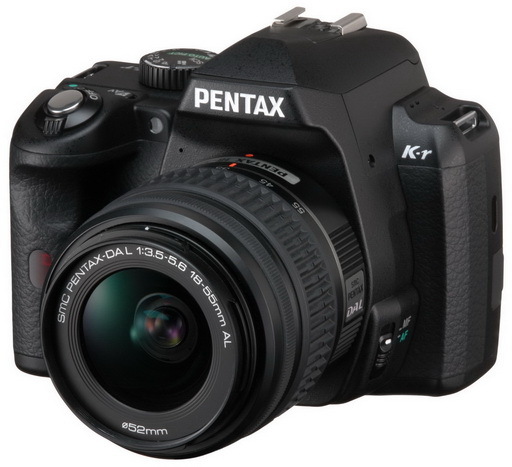 The Pentax K-r also gives you an extremely wide ISO range of 100 to 25600, infrared data transfer and the ability to take both long lasting lithium-ion batteries and regular AA cells in a pinch. Video quality for the K-r is rated at 720p HD, which is less than some competitor brands, but more than made up for by this camera’s other features. Other K-r features include a shake reduction mechanism, High Dynamic range, several digital filters and a whole range of both automatic and manual shooting modes. 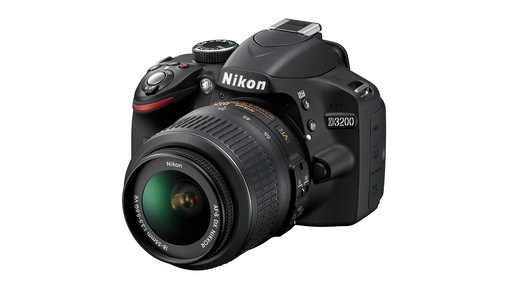 The Nikon D3200 is Nikon’s replacement for the top selling D3100. With the D3200, Nikon has made a couple of significant improvements and changes to one of their best beginner/intermediate DSLR cameras. With the D3200 you get improved features like a whopping 24 megapixels of resolution power, and a newly improved movie mode that lets you control exposure during shooting. Other enhancements to the camera include a display screen resolution of 921k pixels and a microphone jack. Body size and shape are nearly identical to those of the D3100. About the author: Marty Reardon is an accomplished writer, having written for a variety of media on many topics. When Marty isn’t reviewing the best self storage facilities, he’s busy covering all things tech.